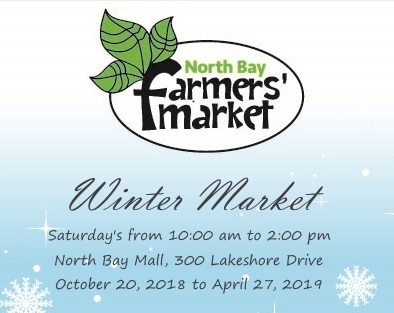 Come join the North Bay Farmers’ Market for our Third Winter Market Season. All the diversity you would find in out Summer Market, just indoors for the Winter. Located inside the North Bay Mall, we have rented a retail location to house our market for the winter season. Check us out every Saturday from 10:00 am to 2:00 pm. It’s Official. Winter Market Is Coming.